What AWeber Triggers and Actions are Supported? New Field - Triggers when a new custom field is added to a list. New Account - Triggers when a new account is added. New List - Triggers when a new list is added to an account. Create Subscriber - Creates a new subscriber. Unsubscribe Email - Unsubscribes an email address from a list of your choosing. Find Subscriber - Find a subscriber by email or name. Find a List - Find a list by name. To get started with AWeber, first click to connect a AWeber account in your Zap. 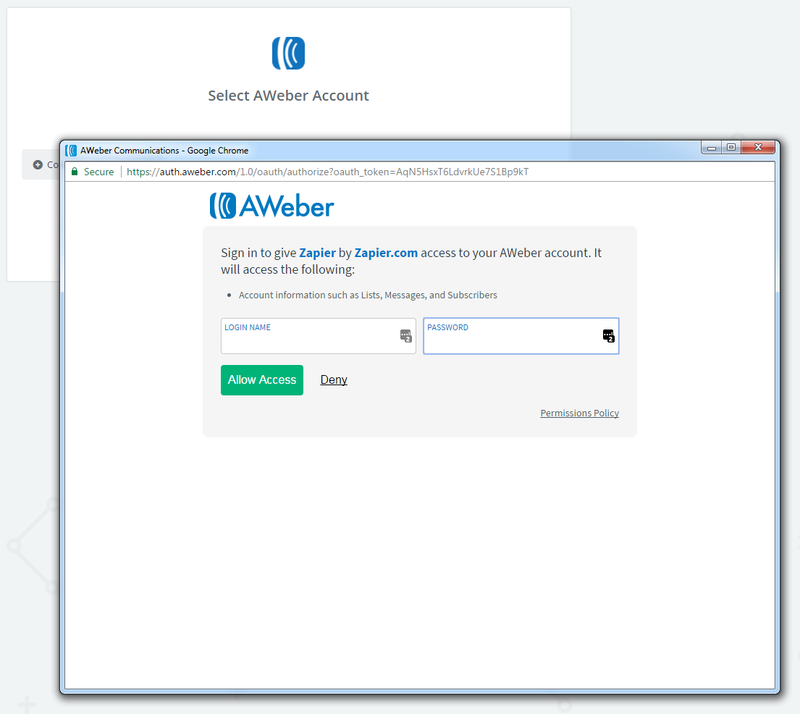 Once you click on 'Connect a New Account', you should then get a pop-up window from AWeber asking you to log-in to connect that AWeber account and Zapier. 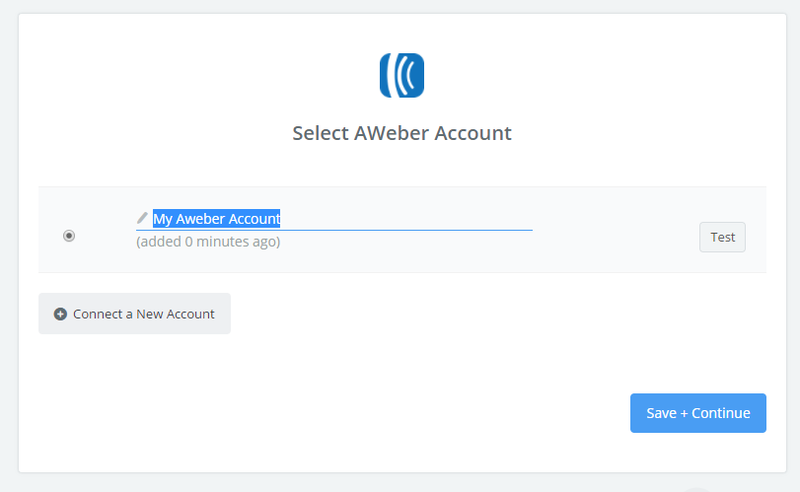 After logging in, you'll get sent back to your Zap where you now have your AWeber account connected - Be sure to name the account by clicking on the Pencil icon if you need to keep track of more than a single AWeber account! When using the Create Subscriber action, you will find that the newly added subscribers are required to opt in again. This behavior is a limitation AWeber has in place for any subscribers added via their API.